Beautiful home in a great location. Boasting a sweeping view of Mt. 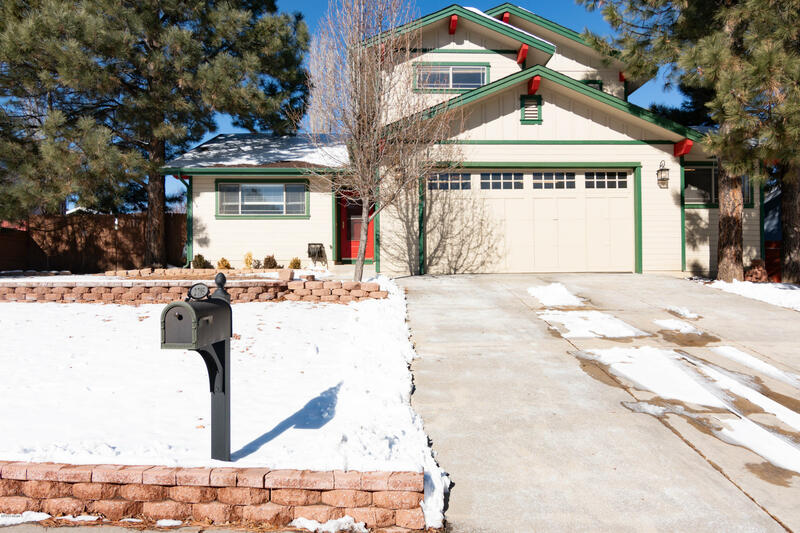 Elden, 4 bed/2.5 baths, 1949 square feet. Open floor plan which allows for great entertainment space. Nicely landscaped and sized back yard with a storage shed, raised garden beds & separate fenced dog run. Gas fireplace heats so efficiently the heater hardly runs! Huge master, en-suite with large walk in closet. Natural light through out making for a very bright and open home. South facing driveway makes for easy snow removal. Wooden shutters and wainscoting just add more charm to this move in ready home. Exterior painted in 2017. Ideal central location making it easy to get around town and to schools. NO HOA FEES!!! Come take a look before it is gone!